Even Vivek shared a couple of pictures from the trip. He captioned one of the pictures as, "Rarely do you get such serenity and beauty in the concrete world we live in today. Loved the stay Ankita and Saurabh. Thanks for curating our stay @am.ace.in and our new social media influencer @riyadahiya_"
Another picture's caption read, "Fly because you CAN create wings! Aerial #Salabhasana :)"
Divyanka is one of the most popular and renowned faces of the Telly industry. 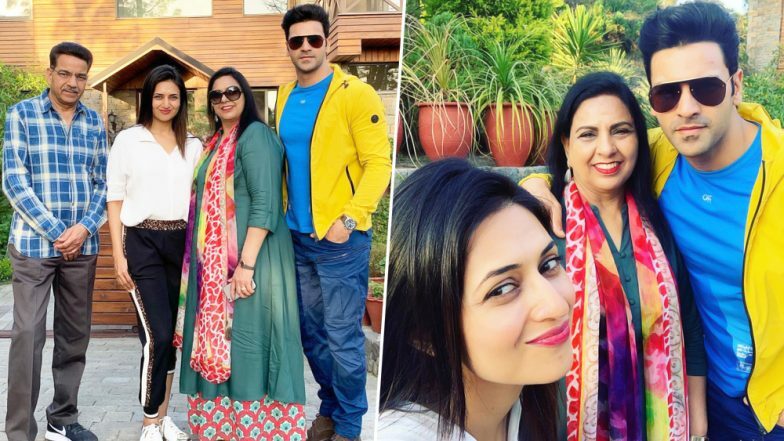 The actress, who is currently seen (as Ishita Bhalla) in Star Plus' much-celebrated show Yeh Hai Mohabbatein alongside Karan Patel, seems to have hypnotized her viewers with abundance of love and excellent acting skills. Speaking of Yeh Hai Mohabbatein, reports suggests that Ekta Kapoor’s show is going off-air in October. However, Ekta has neither commented nor confirmed the news. But if the reports are anything to go by, the television fanatics have to bid adieu to their favourite show. Watch this space for further updates.